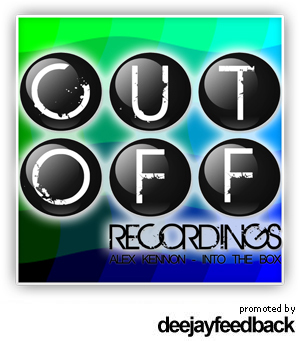 Alex Kennon comes to you with a fresh release titled "Into The Box” on Cutoff Recordings. This pack contains three head-shaker tracks: a groovy original mix with some deep synths that will be perfect for the late night sets and two irresistible remix by Adam Stolz and Jens Lewandowski. Lenny Ibizarre (DJ Awards): Great tunes! DFRNT: Adam Stolz remix does it for me. Thank you! house,will give it a good play for sure! beatportlovers.com: Great release! We'll support on our wall. Thanks. Todd Burns (RAdvisor): Thanks! Downloading. Yan Stricker (!Organism Rec): Happy sounds and good vibrations for a funny release Thanks! Tim Thaler (BLN.FM): Downloading for BLN.FM radio, Berlin. pluginrecords.com: great package, review to follow! Ciao a tutti sono R3VIX, e volevo chiedere un parere per quanto riguarda la mia produzione musicale : in ogni traccia che compongo (parliamo di progressive), i lead suonano sempre male con la bassline , in pratica non so come dire, ma quando aggiungo il basso al drop i suoni si distorcono o "deformano" gli altri.